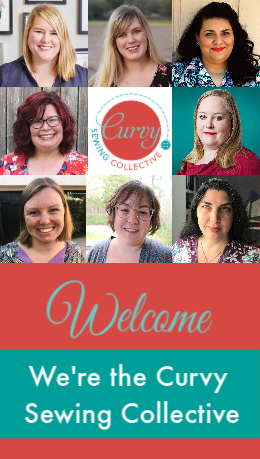 Learn more about our contributors whose guest posts add enormously to the knowledge and experience shared here at the Curvy Sewing Collective. My name is Adria and I live in Columbus, Ohio. As a kid, my mom taught me to sew. She sewed and crocheted. So before she passed in 2011, she had bought me a sewing machine because she knew I wanted to start sewing. I always loved fashion and really wanted to make my own clothes. I didn't officially start sewing until the beginning of 2016. In May of 2018 I created a YouTube channel to share and document my makes called AdriaCanSew. I work full-time and am a mother of three. Sewing is what I do for fun. Lol. It's also very therapeutic! Alyce has been doing crafty stuff since she was old enough to glue popsicle sticks to her fingers. She’s been sewing since she was about ten. She writes novels, has a full-time day job and is the mother of a 22-year-old stuck in the “What if.....” stage. What free time she has, she’s usually trying to upcycle, repurpose or down right re-invent something she found or was given. Alyce also owns the Savvy Recycler, where she creates custom garments for clients out of repurposed treasures. You can contact Alyce at itsalyce at bis.midco.net. Annette Allison Millard is passionate about sewing, has worked in the sewing industry for many years and is always happiest with needle, fabric and thread in her hands! You can follow Annette at www.sewfullife.com, on Facebook and Instagram. Her sewing and writing also make guest appearances on the Coats and Clark Sewing Secrets blog and the Canadian Quilting Association blog. Caroline is a software developer by day, but loves to sew whenever she can. She hasn't been sewing that long, but has jumped in with both feet and now co-owns a fabric store, Spool & Spindle, in Waterloo, Ontario. Hello everybody! I am a German girl living in Switzerland with my husband. Sewing was my first hobby I really fell in love because it will never get boring to create wonderful items with your own hands! There is so much to try, to learn, to get another view on your own body and also there is a really nice and helpful community. I began sewing in 2009 with little somethings like bags for make up or pencil cases. Now I love to sew my own clothes and also took lessons in pattern drafting, sewed my own bras and really appreciate to sew colourful blouses. You can find me on Instagram: @nani_christiane. I'm an Australian living near Seattle with my family. Apart from sewing, knitting and quilting I also enjoy hiking, swimming in the lake and exploring the beautiful pacific north west. I have recently returned to sewing after a 30 year break. I've come back with an avid thirst to learn every technique possible and to be able to obtain that elusive perfectly fitting garment. I live in North Wales with my husband and what must surely be the dimmest dog ever born. I live in the middle of no-where Canada. I am a semi- retired nurse. I have 4 beautiful grandchildren. My mother sewed a lot when I was a child. She didn't like it when I stood and watched her sew. She thought I was pushing her to hurry. I was watching and learning. She finally let me sew a wardrobe for my sisters Barbie doll for Christmas. I sew to get clothes that fit in the colours that I want. I sew for stress relief and I sew because I must! I am Ericka Renee also known as Lyela Belle. Sewing is a hobby for me. I sew mostly for myself and my family. In 2015, I took a very basic sewing class. I learned most of what I know from YouTube, one of my seamstress, and by trial and error. I am a nurse and also a graduate student, working towards my master’s degree in nursing. My interest in sewing started because I wanted to pick up a hobby and alter my nursing uniforms. I am so curvy that my nursing uniforms would never fit me correctly. Needless to say, I no longer wear uniforms and my interest in sewing switched to circle skirts and dresses, and peplum tops. I love, love, love everything fit and flare. Most of my creations are made with African printed materials because I love the colors and patterns, plus my in-laws are African. Please do enjoy my curvy contributions, it is a pleasure to share my experiences with you. You can follow my wonderful creations on my blog www.lyelabelle.com and on Instagram @sewfullymade. Learning how to sew has been such a rewarding experience and I absolutely love it!!! I am self-taught and still learning which can definitely be an adventure as I traverse the art of sewing for my curvy body. You can follow my sewing journey and shenanigans on Instagram @GariChild. Gillian is a elementary teacher who loves to sneak sewing into her lessons as often as possible! She blogs at Crafting A Rainbow. Jamie began sewing as a teenager because apparently there are not enough RTW clothes in the world to choose from. Currently she lives in the Rocky Mountains of Colorado. When she's not sewing she enjoys hiking, hockey and overdressing for the occasion. You can also find her at at denversews.com. Jenna Vincent is a fiction writer who lives in Denver, Colorado. She loves to read, sew, and play pickle ball. Jennifer Pesetsky is a curvy sewist in Berkeley, California. Find her on Instagram @OrangeJennifer. When not sewing, Jennifer is probably spending time with her husband, their 7 year old daughter, and running www.CoachMenopause.com- supporting women through perimenopause and menopause. Jenny is a translator and mum of two boys. She likes running (slowly), cycling (gently) and singing (lots). She’s a very inexperienced sewist but a fairly experienced knitter/crocheter and is enjoying the novelty of not having to make the fabric before sewing it together. She’s based in the south of the UK. Jodi Schreiner designs both sewing patterns and database queries in the beautiful hill country just outside Austin, TX, where she lives with her husband, two dogs, and seven chickens. She is the owner of Jailyn Apparel Patterns which provides patterns drafted for full-busted women in ready-to- wear sizes 00 – 18. I sew because it makes me happy. I learned to sew in home ec classes in high school and have been sewing ever since. I sewed for my kids when they were small and then I moved on to home dec sewing for years. I have been quilting for the last several years but consider myself a beginner. I recently started testing patterns for indie designers which is an absolute delight, and now find my myself sewing for my kids again on an adult level. I sew for myself as I think RTW is lacking for plus sized women at this point in time. I also sew for charity in my spare time. On a personal note, I am retired and living in Central California with my husband and two large dogs. A tundra-dweller with 6 awesome years invested in this hobby of ours. I've got a husband, a girl, a boy and a cat and they're all grown-ups -- well, maybe not the cat...and therefore yes, I sew a lot! I'm hooked on the technical aspect of sewing and am coming around to the creative. You can find me around the sewing community as KS Sews and on the blog and IG as @dressmakingdebacles. Kathleen's Mom used to make her a Halloween costume every year but anime cosplay proved to be her breaking point. Kathleen was forced to teach herself and is now sewing up a storm! She lives in LA and makes many very cute dresses for the warm weather alongside the occasional costume. Katie started sewing at the age of 14 when she received her first sewing machine for her birthday. It took her many failed attempts of upcycling op shop dresses before she found herself sewing actual wearable garments. The love of vintage remains. She lives on the Sunshine Coast, Australia and is a photographer, a sewing blogger, a mother of two and owner of Sid the French bulldog. She blogs at Katie Makes a Dress. Kelly Hogaboom is an engineer, tailor, writer, and homeschooling parent living in Aberdeen, WA. She hosts one-a-month sew-alongs on her blog and hosts a Facebook page under the name The Vegan Tailor. Mariah is a grant writer by day and a sewist by night. The rest of her waking moments are filled with being a wife, mother of three, and a shepherd of a small flock of fiber sheep. She documents her life on the Iowa prairie on Instagram @knitmo. L'Anne is women's historian who works extensively with the history of women's bodies. She has two crazy dogs, one cat who refuses to leave the basement, and a fantastic husband. When she isn't teaching, reading, writing, or sewing, she drinks wine, cooks semi-gourmet meals, works out, mocks bad TV, and tends her organic garden. I started sewing as something fun to do with my Mum, and I never imagined how making my own clothes would change my life! Being able to make clothes which fit instead of constantly compromising in RTW has been hugely positive and inspiring. I also love being able to choose exuberant prints and lots of colour. Hi, I'm Lorraine, living on the beautiful Isle of Skye just off the north western Scottish coast. I'm nearly 64 but still 21 in my heart - which is more than I did when I actually was 21. I've always felt "different" to everybody else, partly because of my size but also because I love eclectic styles and 'unique' detailing, but I don't really have the confidence to carry them off in public! I spent many years working in corporate environments, mostly in Human Resources positions, where I was expected to look "professional" - and more importantly, fit into the mould and act grown up at all times. I hated it! I hated having to fit in and I hated that urban working existence. So 14 years ago I gave it all up and we moved to this wonderful island community where I can be myself and nobody cares how I look or what I do or wear. But I'm still a bit of a hermit socially, so I mostly sew for myself and wear most of my makes just at home and for my hubby and two cats, all of whom seem to accept me whatever I wear and whatever I do. For a couple of years I ran a shop in our converted garage, selling my crafty makes, but even that I found too restricting(!) so in 2014 I closed it and my long-suffering lovely husband converted the space again, this time into a dedicated sewing room, where I spend most of my days and some nights - sewing to my heart's content and counting my blessings, wishing everybody could have a life like mine is now. 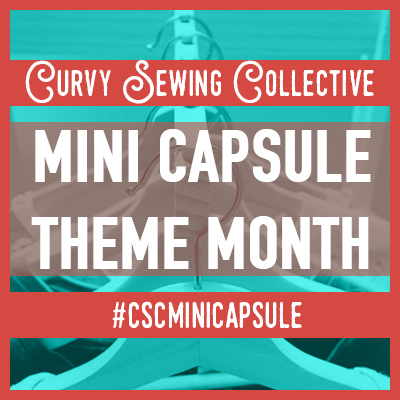 You can see me most days on the CSC Facebook page, where I show some of my makes and try to help others with similar self-confidence issues to find therapy in their sewing. Marianne has been happily sewing her way through life, from 70s hippie dresses and bell bottom jeans through an 80s wedding dress, followed by baby stuff, kids coats and prom dresses. Now she's back to sewing one of a kind items for her own closet. Marianne is living in The Netherlands with her husband and a Border Terrier dog, aka the Furry Assistant. She's blogging at Foxgloves and Thimbles. Hi! I'm, Mary Alice, the voice behind the curvy-sewing and style blog, WellSewnStyle.com. I am a sewing educator, curvy style-expert and fashion designer preparing to launch my first ready-to-wear collection, Alice Alexander, in Fall 2017. Realizing I couldn’t be the only woman who was challenged to find stylish items in my size range, I started Well Sewn Style to help women struggling with the same issues find new ways to create their dream wardrobe. Through this site I provide sewing instruction, style-inspiration, pattern reviews and pattern-hacks, quick tailoring tips for ready-to-wear items and articles on body-positivity and self-love. My personal style philosophy is that any woman can wear anything as long as it’s done so confidently. 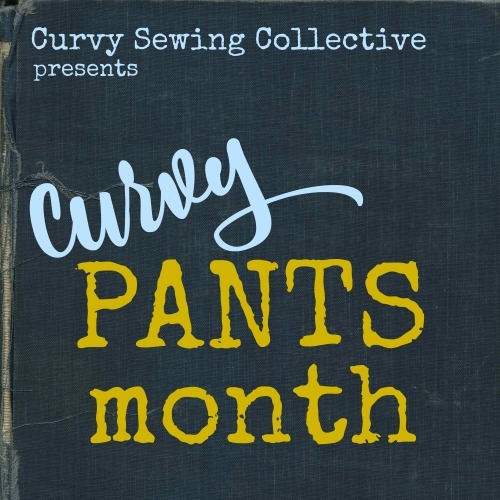 I am a regular contributor and copyeditor for Sew Sew Def Magazine and Tall Guides Magazine; I’ve been featured on Cashmerette.com as both an article contributor and pattern model and on the Curvy Sewing Collective Sewing for my Curves series. When I’m not dreaming up the perfect pair of jeans, you can find me chasing after my sassy three year old daughter and spending quality time with my husband of 5 years. My happy little family and I live in Philadelphia, PA, USA. A creator at heart, Mary loves making any and all kinds of beautiful things. She sews both clothes and quilts, knits, crochets, embroiders and tats (don’t worry, no one else has heard of it either…). In order to fund all this fun, she works in the real world as a web programmer. She occasionally remembers to blog about her projects at http://fabricandyarnfollies.com. Mary Ethel Rockcastle is a florist by day, seamstress by literally every other hour under the sun. With a degree from Parsons the New School for Design in Illustration, she loves exploring texture and color in her work. You can follow her work more intimately at www.littlelambstudios.com. Mary lives in Rochester, New York with her boyfriend and her dog, who can often be found sleeping in the fabric scraps pile. Megan is a hydrogeologist by day, but spends an embarrassing amount of her free time in the sewing room trying to create a perfectly fitting bra. She grew up being inspired by the sewing of her foremothers, but didn’t start sewing in earnest until 2012, shortly after she moved to New Mexico and found her shopping options severely limited. When she isn’t sewing, she can be found skiing, rafting, and seeking out the best hot springs in the southwestern US. You can find her online at her neglected blog www.thegreenviolet.blogspot.com, but you’ll have better luck connecting with her on instagram @thegreenviolet. I started sewing recently because RTW never seemed to fit right. I enjoy the challenges that being a self- taught seamstress brings. I am a 34 year old sewer and crafter hailing from Northern California. I recently began teaching sewing at my local Joann Crafts and Fabric. Besides sewing, I enjoy educating my sons, joking around with my husband, and watching game shows. I’ve been working as a freelance writer and editor since 2008 when I left a graduate program in philosophy. I run the blog Wining Wife, where I talk about wine, sewing, running, relationships, housekeeping, crafts, food, books, and more. I am a two-time firewalker (in fact, I met my husband 4 days after the first time I walked across fire and we walked together the day we got married), and arrow-breaker. I am a competitive runner, and I’m hoping to get back to that soon. I enjoy snuggling with a very cute infant girl and playing board games with an awesome teenage boy. I’m an Arts Project Manager in Rio de Janeiro by day and sewer by night and weekends. I’m interested in everything concerning craft works, and started my “sewing career” through cross stitch and embroidery. I used to be a shopaholic until 4 years ago when I finally fulfilled my dream of learning to sew, and decided to build an entire handmade wardrobe for myself. The plan is on its way! Shannon started sewing as a kid, determined to make fantastical outfits for her dolls, and has since moved on to making fantastical outfits for herself (and sometimes her dog). As an art historian, she finds lots of sewing inspiration in the colors, forms, and textures of art, and sewing provides a good outlet for problem-solving and creative thinking while she works on her Ph.D. She posts at rare.device on Instagram and withararedevice.wordpress.com. I live outside of Atlanta, GA with my husband, daughter, and three cats. My day job is doing IT virtualization engineering for a government agency, but I also freelance with several local orchestras as a bassist. I have way more hobbies than I do time, on top of sewing I also love cooking, baking, and just about any type of crafting. Despite all that, most of my “free” time is spent keeping up with my increasingly active baby. I'm a mom first, then a seamstress and a book-loving English Teacher! Tricia blogs at sewl33t.wordpress.com, and though she is not actually very l33t (elite) at sewing, she does take somewhat of a hacker approach to her garment construction endeavors - always trying to find a better way to do things, rarely making anything quite as intended by the designer, and taking great pleasure in reverse-engineering things she sees and decides she needs. Tricia learned to sew in middle school, but got more seriously into it as a young adult when she got into ballroom dance and could never find anything to wear to the ball. These days, besides sewing, she enjoys crochet, singing opera (very amateurly), and playing with horses. She works in a beige cube farm to fund her various passions. Zoe's mother sewed all her clothes (except for socks) as a child and teen, and decided to pick up the habit herself in 2015. She lives and works in Melbourne, Australia. When not sewing or embroidering, she can be found at the theatre (TheatreFeels.com), watching Japanese television, or eating brunch. Follow her sewing progress on Instagram at http://www.instagram.com/celandinesong.